This class is open to all string players including violin, viola, cello and bass. The first semester will start with easier pieces. 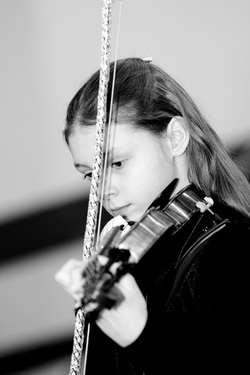 We will also work on playing with precision with some fiddling exercises. During the 2nd semester, we will progress to more difficult tunes, but simple enough to be accurate and capture the "fiddle feeling". Different styles of fiddle will be played i.e. American, Irish, reels, hoedowns, jigs, and waltzes. The Fiddle Class is open to students who have played at least 2 years on their instrument (or completed one year of Intermediate Orchestra) and are able to play everything in Essential Elements Strings Book 2.